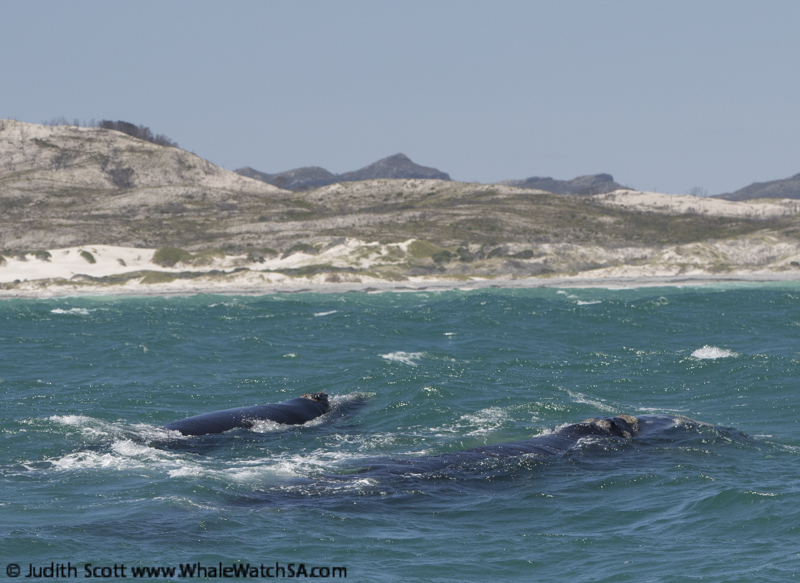 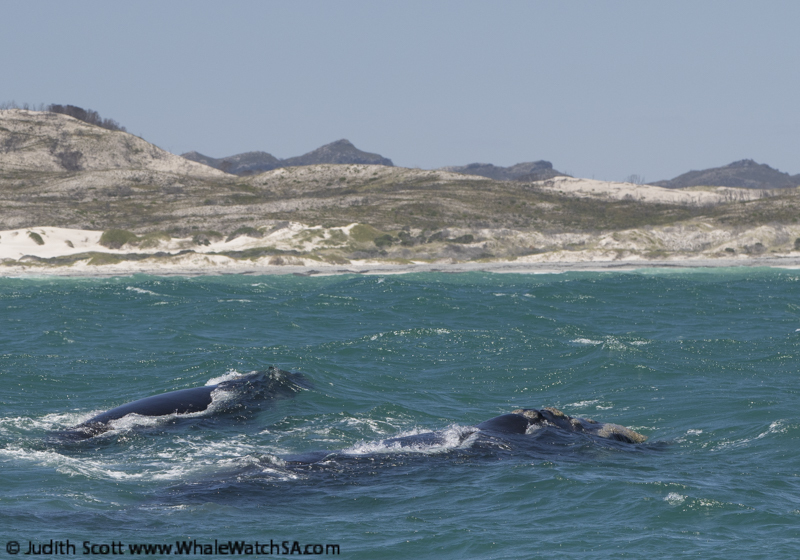 We continue to spend quality whale time out with the southern right whales in the bays we whale watch in as our mothers and calves rest and swim. 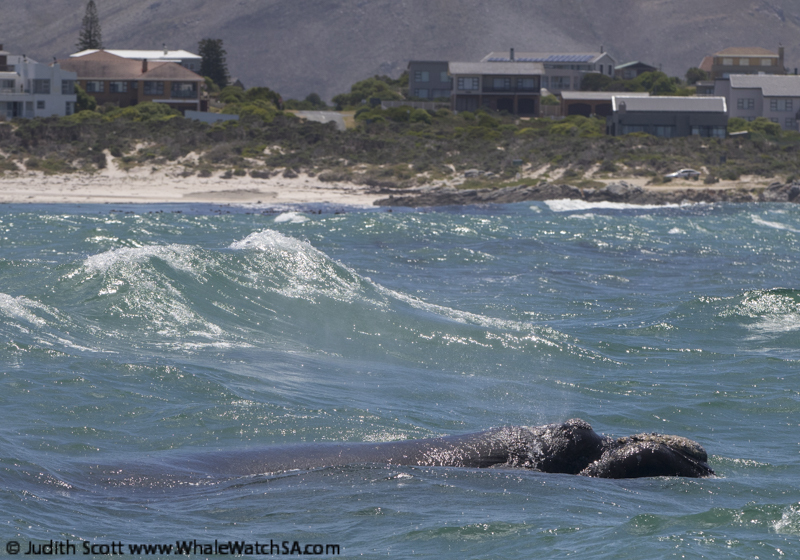 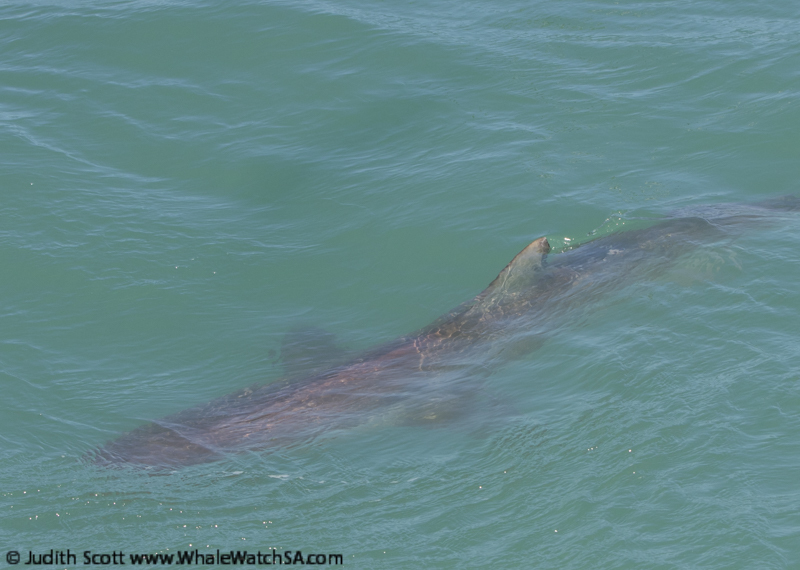 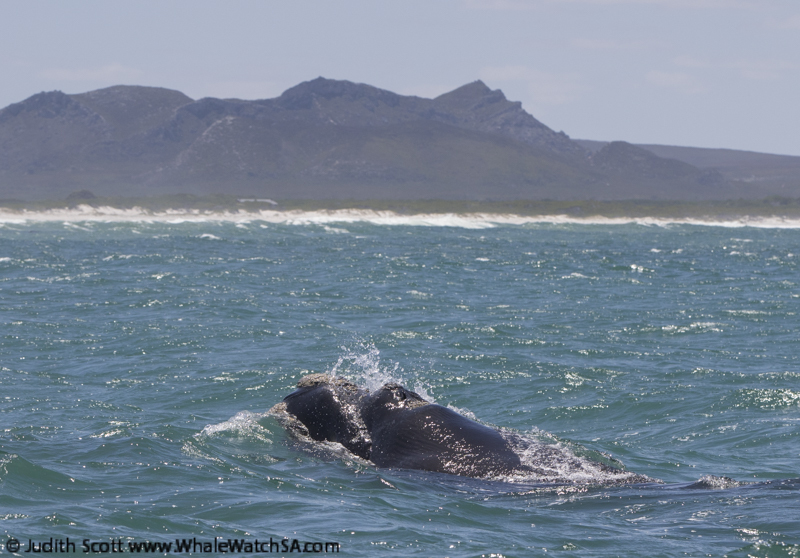 On our first tour of the day the southern right whale mother and calf we watched first was taking long dives and swimming quite fast, so we went further on to a bay called Pearly Beach and there were a few pairs there. 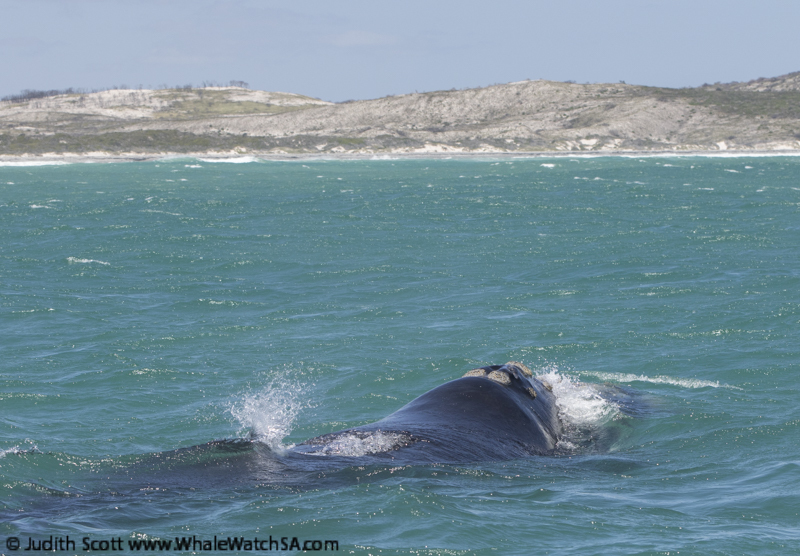 We spent our time with one chilled mother whale and her calf that came close to the boat a couple of times. 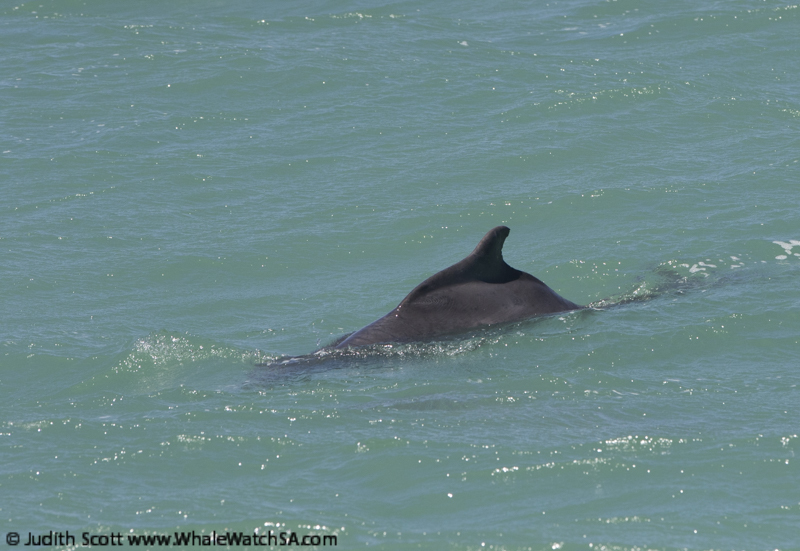 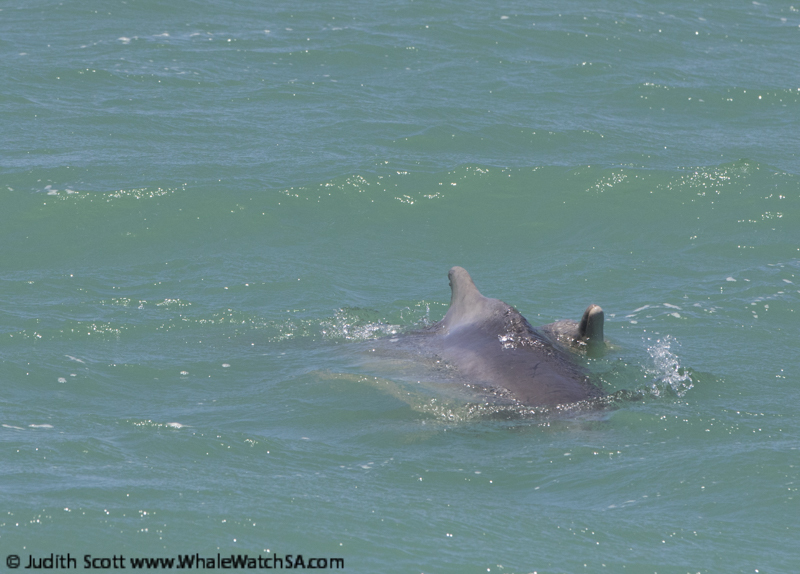 On the second tour we started with a treat, a small group of our rare dolphins, the Indian Ocean humpback dolphin. 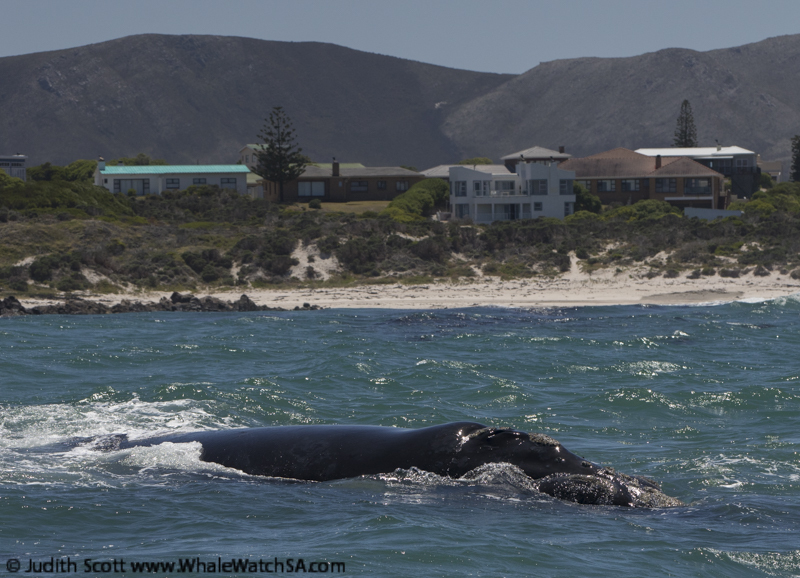 We got some nice looks at them before spending time with a mother and calf Southern right whale that were travelling slowly, not taking long dives in our nice sheltered bay. 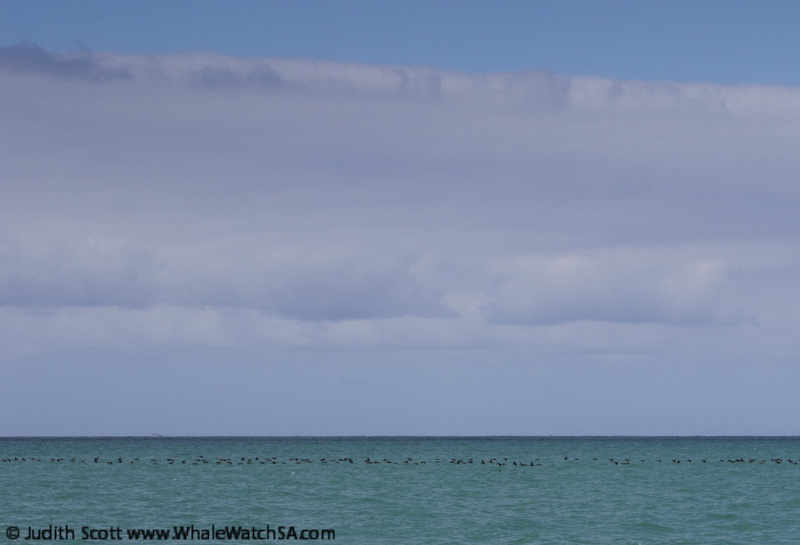 It was good to be able to watch them there as the wind had picked up quite strongly by the afternoon. 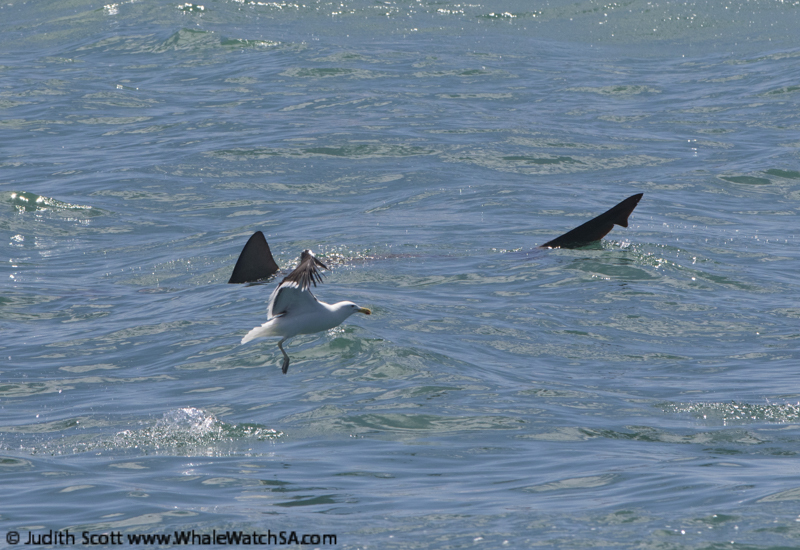 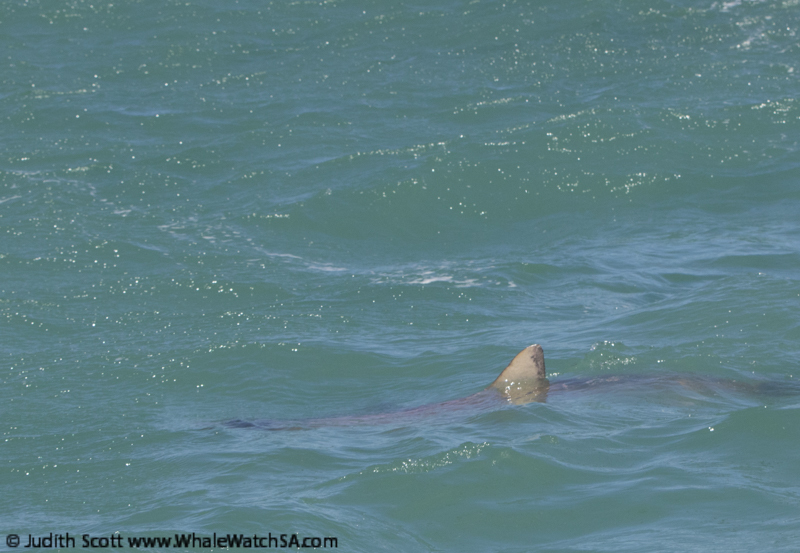 On both tours we got to see some nice bronze whaler shark action over by Slashfin. 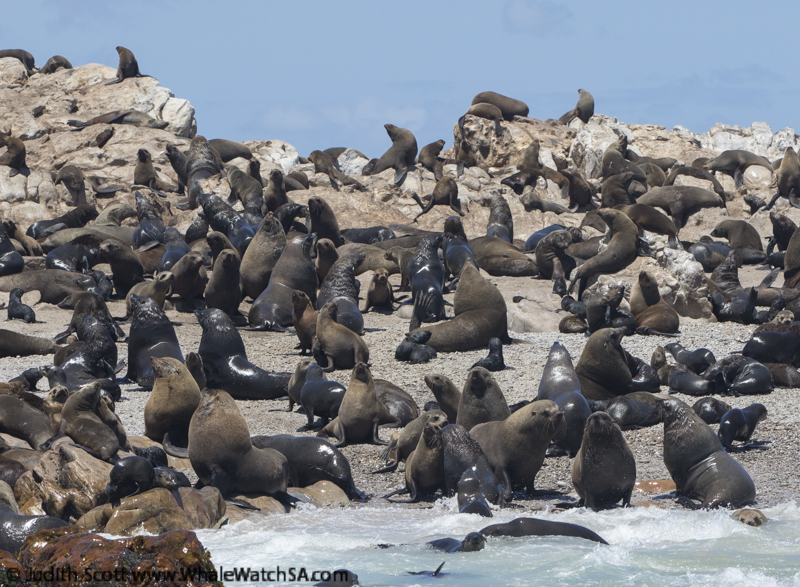 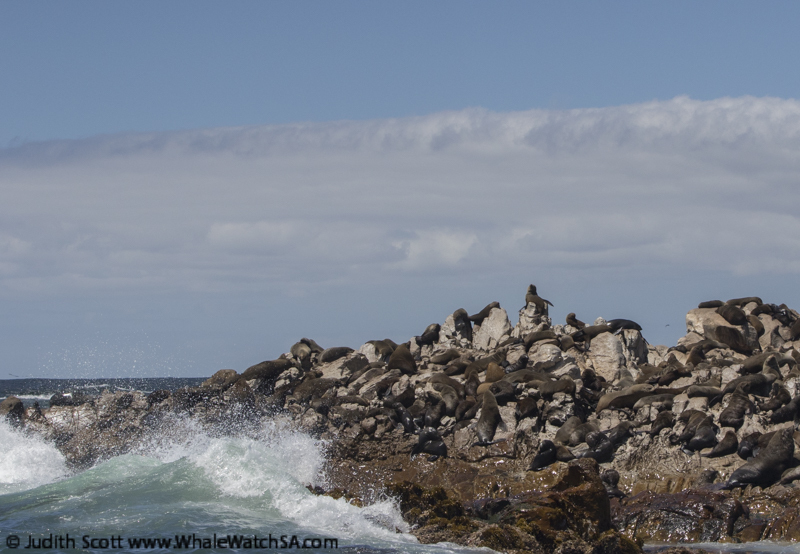 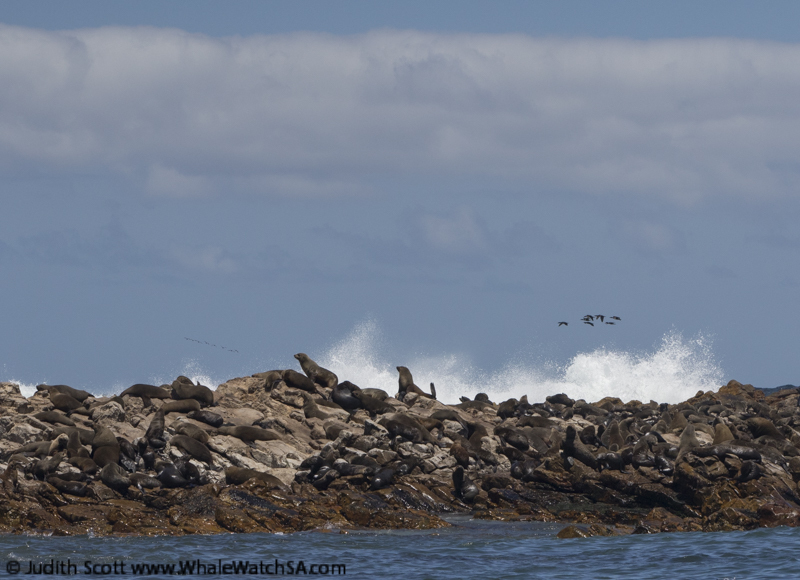 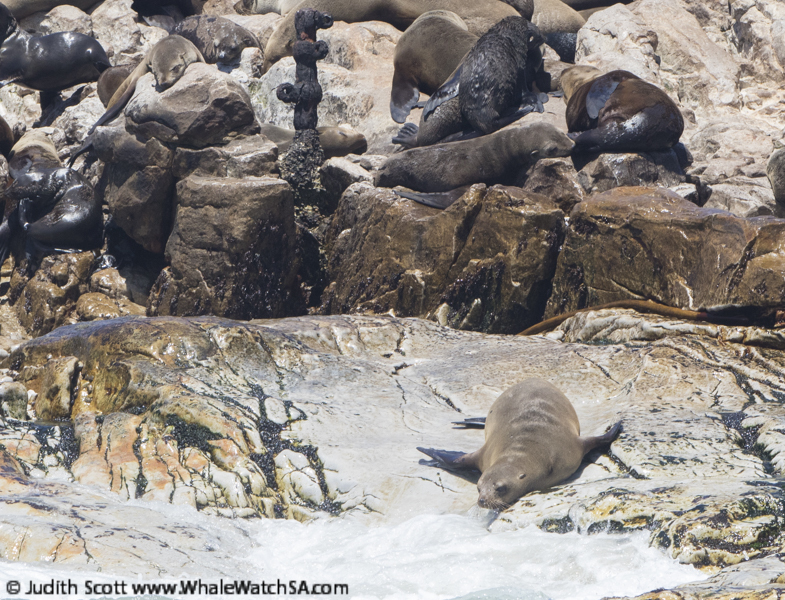 We also got to see the cape fur seals, their usual raucous selves over on geyser rock. 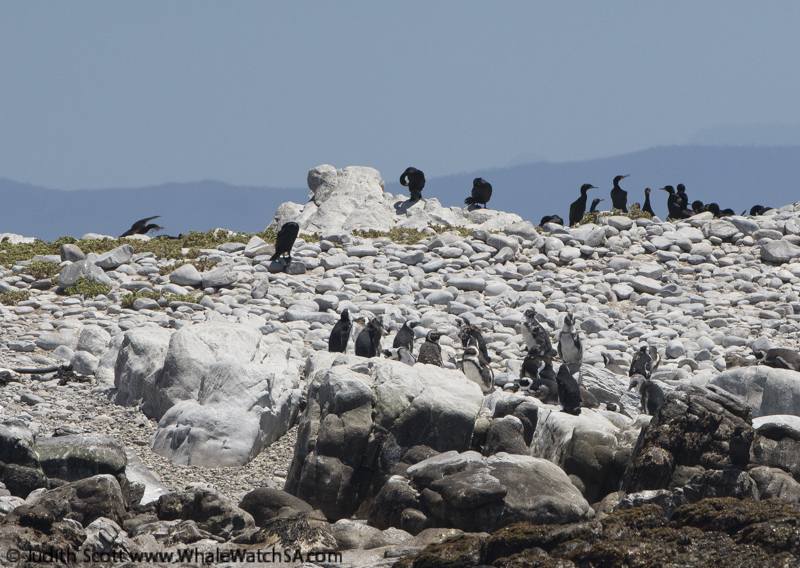 Trip one also got to see some African penguins over on Dyer Island, so both tours today got to see four out of the Marine Big five animals that we try to show people on our tours. 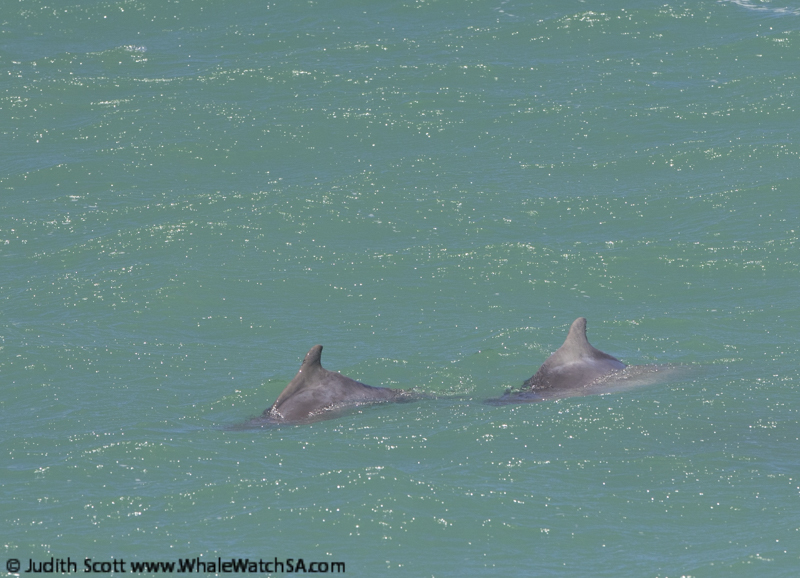 For anyone who has been following our lone calf story on the blog, we can report that it is no longer in our whale watching area, but has been seen with another mother and calf in the next bay over and it is still looking well! 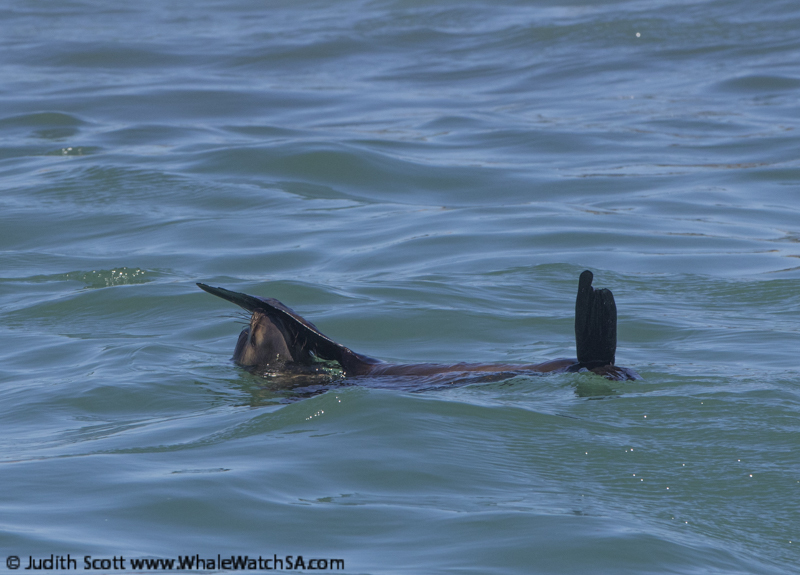 We are so happy. 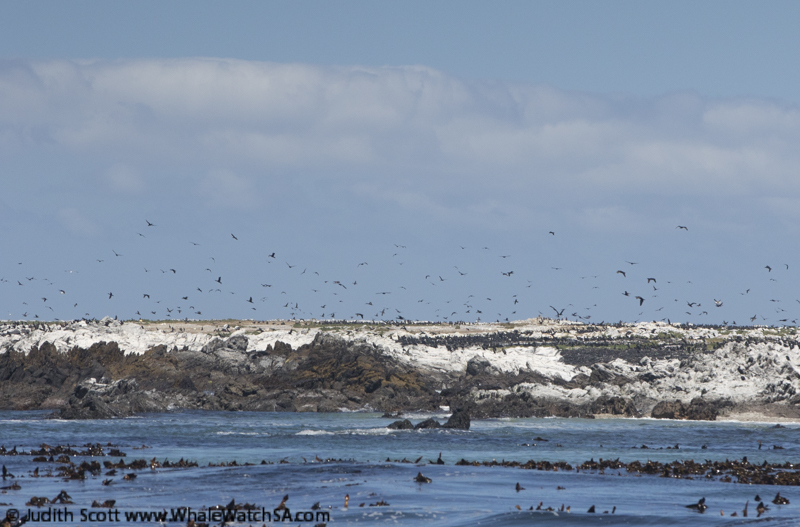 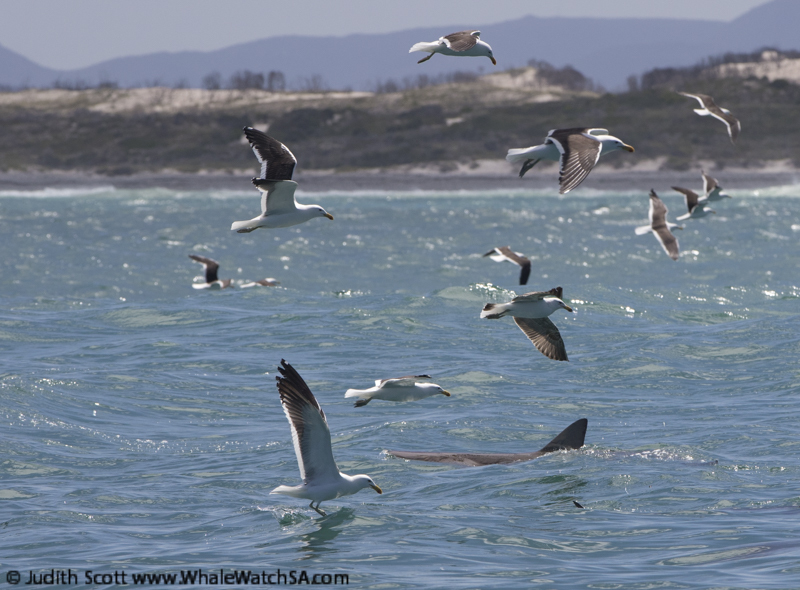 Cape cormorants flying in formation over the water in their hundreds!